On this edition of In Black America, producer/host John L. Hanson Jr. concludes his conversation with Dr. Benjamin W. Nero, author of That’s The Way It Was: A Memoir. Dr. Nero was the first African-American to graduate from the University of Kentucky’s College of Dentistry, and the first African-American intern resident at the Albert Einstein Medical Center in Philadelphia. Dr. Nero talks about evening walks with his mother, living in a community that had a vested interest in having their children succeed, and starting an orthodontic practice in Philadelphia. On this edition of In Black America, producer/host John L. Hanson Jr. speaks with Dr. Benjamin Nero, author of That’s The Way It Was: A Memoir. 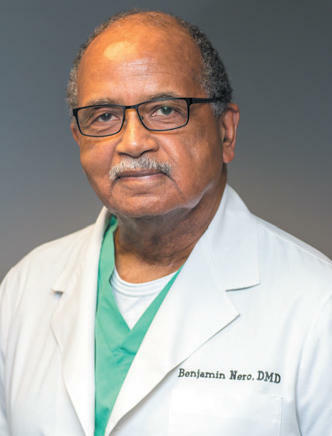 Dr. Nero was the first African-American to graduate from the University of Kentucky’s College of Dentistry and the first African-American intern resident at the Albert Einstein Medical Center in Philadelphia.